"Phil is a credit to your team. Very helpful." 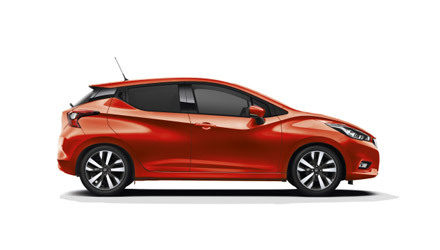 Read our customers' honest and impartial Nissan Micra car reviews and ratings to easily find your next car at Motorparks. Lovely little car, very nippy for town driving, low fuel consumption. I went for a small engine car due to change in my circumstances and have not regretted this choice. This car is nippy and great on fuel. Feels roomy and comfortable to drive. The boot looks small, but enough room to hold two small suitcases but extras. Very pleased with my choice of car. Excellent car very quiet nice to drive good all round visibility real luxury. Pleased with my new Micra which is everything I expected . Although it is early days yet and everything is rosy, I will hold judgement until after 6 months of motoring . I feel comfortable in the new Micra which is a big improvement on earlier models , but I find the 1.2 petrol engine a little noisy compared with my previous Vauxall Agila 1.2 which was extremely quite and difficult to tell if the engine was running at low speeds ! That's the only downside but a big little car ! The Nissan Micra that we bought is more advanced than the car we had before - it has a lot of extras and it is a pleasure to drive. We are certainly happy we made the change. Really pleased with the car.